Provide non-commissioned security for sports and entertainment events throughout the greater Houston area. Events may include: football, basketball, and baseball, concerts of all sizes, conferences and conventions. Officers must maintain a professional image at all times and exhibit excellent customer service with a friendly and outgoing personality. Individuals may be required to stand for long periods of time and must be able to work inside and outside during various weather conditions. Initiative, a constant awareness of surroundings, making note of any and all activity that takes place in the assigned area is required. Control entrances and movement of fans, guests and attendees as needed. Restrict access to designated areas to only specified personnel. Inspect fans, guests, attendees and surrounding area for prohibited items. Be on time and report to post in a clean, full uniform as designated per the specific event. Maintain professional image that includes greeting customers, visitors and employees in a polite and friendly manner. 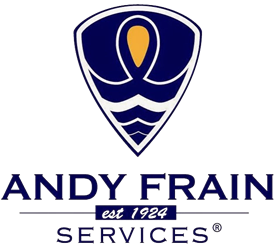 Be proactive in knowing revisions to post orders, general and specific information distributed by the customer and Andy Frain Services. Patrol physical property or maintain fixed post position, being diligent to report health and safety risks, any suspicious activity and investigate accidents and potential prohibited acts. Monitor the immediate area, cameras or equipment in a continuous fashion as outlined in the post orders, if required. Maintain a working knowledge of all emergency policies, procedures and regulations to be able to respond to alarms, incidents and emergency situations per the location. Complete Daily Activity Reports, Log Book entries, Incident Reports and all relevant reports related to job assignment, if required. Make recommendations to supervisor and management on better safety and loss prevention processes as identified during daily routine. Ensure training and compliance guidelines are met as outlined by AFS, the Private Security Bureau and other regulatory agencies. Clearly and effectively communicate with other staff, supervisor, fans, guests, venue management, employees and vendors in a professional, customer-focused manner. The following are the minimum qualifications that an individual needs in order to successfully perform the duties and responsibilities of this position. Please note that the minimum qualifications may vary based upon the department size and/or geographic location. High School Diploma and/or equivalent (GED). Have a dependable mode of transportation. Excellent work ethics and integrity. A security officer is to be honest, alert and well-disciplined as the custodians of employee and customer property and safety. Strong customer service skills, exemplifying Andy Frain Services Mission Statement. Ability to be a hands-on, results oriented employee, handling multiple priorities simultaneously. Ability to facilitate progressive change, work as part of a team and follow directions. Prior experience in life safety, and/or event security strongly preferred. Must be able to read, comprehend, write and speak clearly and fluently in English in order to communicate with employees, guests and others. Pushing/pulling/carrying lifting may include up to 50 lbs., stair climbing. Normal vision or corrected by use of glasses and/or contacts for normal reading and viewing abilities. Ability to twist, turn, bend, stand, climb stairs and walk as required to perform the duties associated with functioning as a security officer.